Not everyone can make a large down payment toward the purchase of a home. Alternative solutions exist for those who need a mortgage loan product but who may not get the terms they want from a conventional lender. 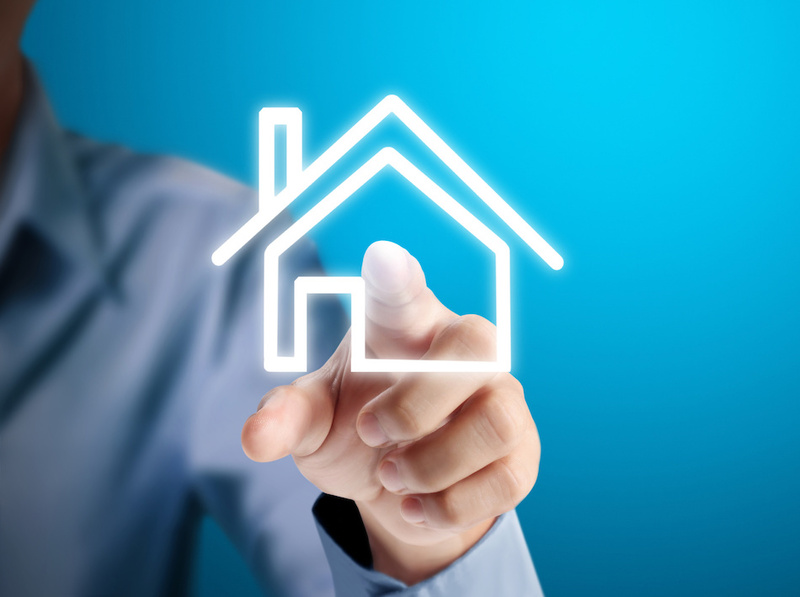 Potential home buyers may want to look into the possibility of obtaining an FHA home loan. Individuals and couples may put down a mere 3.5 percent and get the funds needed to buy their first home with this FHA insured product. Do know that with many home loan products available, other options may better suit one's needs. However, homeownership has been achieved for many through being approved for an FHA home loan. Get a better handle on FHA home loans and learn whether or not this product can help you buy a home. There are some requirements that can easily disqualify an applicant from being approved for this type of loan. Applicants should be lawful U.S residents and considered to be of legal age with minimum age requirements varying by state. An FHA loan can be used toward the purchase of a home that will be owner-occupied and may not be used toward buying investment property. FHA mortgage loan products are intended to help those who may want to purchase a home but are only able to make a small down payment, making homeownership more accessible for buyers in Paradise Hills. Requirements may vary between FHA-approved lenders. As with conventional loan products, a good credit score can make for better terms and more options for an approved applicant. Therefore, paying down outstanding debt and taking steps to improve one's credit score are recommended for those looking to apply for an FHA home mortgage loan. 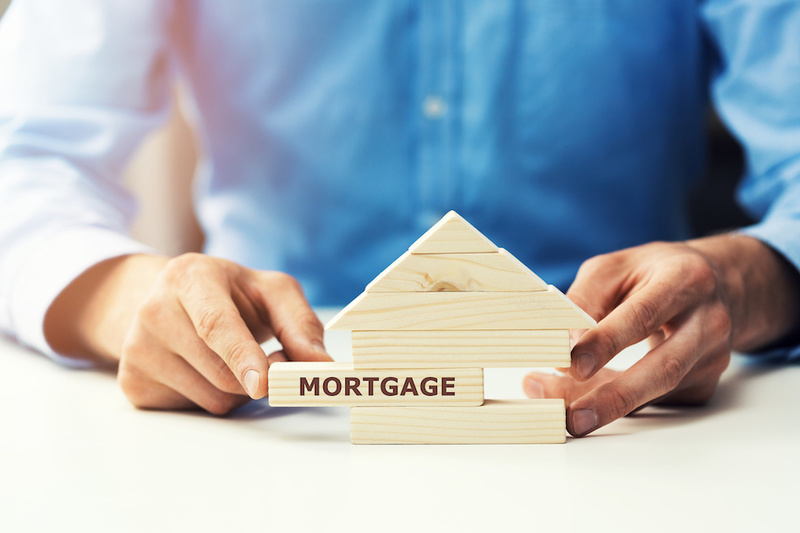 Approved borrowers are making a small down payment and often need to pay mortgage insurance in order to provide additional security to a lender. Mortgage premiums can be paid upfront or be included within mortgage loan payments. This can make it trickier to track how much of the initial loan has been paid off as mortgage insurance payments will not be used to pay down the loan balance, but could be included in each payment. Unlike a conventional loan, mortgage insurance continues until the entire loan is paid off by the borrower. A borrower may choose to refinance and look into a home loan product that is not backed by the FHA in order to stop making mortgage insurance payments. Meeting debt-to-income ratios preferred by the lender. Have a good to great credit score, such as 580 or above? It will then be possible to make a smaller down payment. Individuals with scores under 580 would need to make a minimum down payment amounting to 10 percent. Potential homebuyers should be aware of the mortgage loan products available which would not be considered to be conventional home loan products. FHA loans, VA loans and USDA loans are some of the products that can permit approved applicants to make a small down payment. Do realize that a small down payment may mean homeowners pay more to a lender when paying off the balance of a home mortgage loan. Understand the fine print before accepting any mortgage loan product. Unless purchasing a home with cash, every home buyer will need to use a mortgage to cover the costs of their new home. However, there are many different types of home loans out there that can be more useful than others depending on what sort of situation the buyer is in. Here are five different types of mortgages and what makes them good choices to use when buying a new home. The most well-known of all loans, conventional loans cover any loan that isn’t government sponsored, and this includes both fixed-rate and adjustable loans as well as purchase loans and refinance loans. There are two main types of conventional loans: conforming and non-conforming loans. If the loan is conforming, it means it meets the standards set by Fannie Mae and Freddie Mac, and non-conforming do not. For example, jumbo loans are non-conforming because they’re much larger than standard loans. Some types of VA loans allow buyers to purchase a new home without a down payment, which can make them especially appealing to some buyers. VA loan users also don’t have to worry about ever paying for PMI, as these loans are government-sponsored. First time home buyers may want to look into a Federal Housing Administration (FHA) loan as they provide lenient down payment rates as low as 3.5% as well as lower credit score requirements. FHA loans make homeownership more accessible to a wider variety of people, so this is a popular option for many home buyers. One thing home buyers interested in an FHA loan should be aware of is if they plan to pay with less than a 20% down payment, they may be subject to pay mortgage insurance, which may come as a surprise if it isn’t expected. Like FHA loans, US Department of Agriculture (USDA) loans exist to give a wider variety of people an equal chance at owning a home. However, the key difference between the two is that while FHA loans can be taken out on nearly any type of home, USDA loans are exclusively offered for homes in rural and suburban areas. These loans can be used to both purchase a new home or repair and refurbish a Madiera Canyon home they currently own, so it’s a multi-functional option for those who need it. 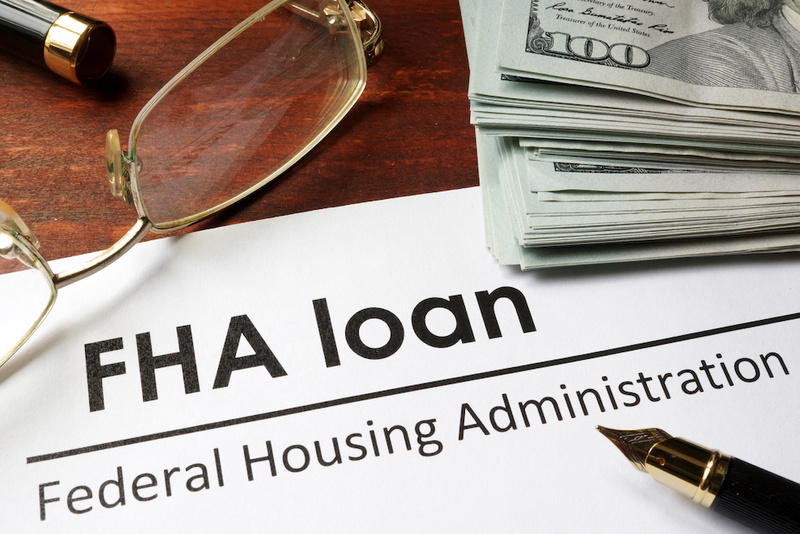 While a 203k Rehab loan may be part of the FHA, it’s different than the previous FHA loan. The key difference between the two loans is that a 203k loan is to be used both for purchasing a home and refurbishing it, which can make it a good choice for home buyers interested in a fixer-upper home. Because the 203k loan is a type of FHA loan, it comes with the same advantages and drawbacks that a normal FHA loan comes with. These are five of the different types of home loans, but there are others out there that home buyers can use. When choosing an appropriate loan, it’s important to do plenty of research in order to weigh the pros and cons of each one to find the best loan for the situation. Homeowners who are thinking about selling their home often have questions about capital gains. When and how are capital gains taxes levied after the sale of a home? Are there exemptions? 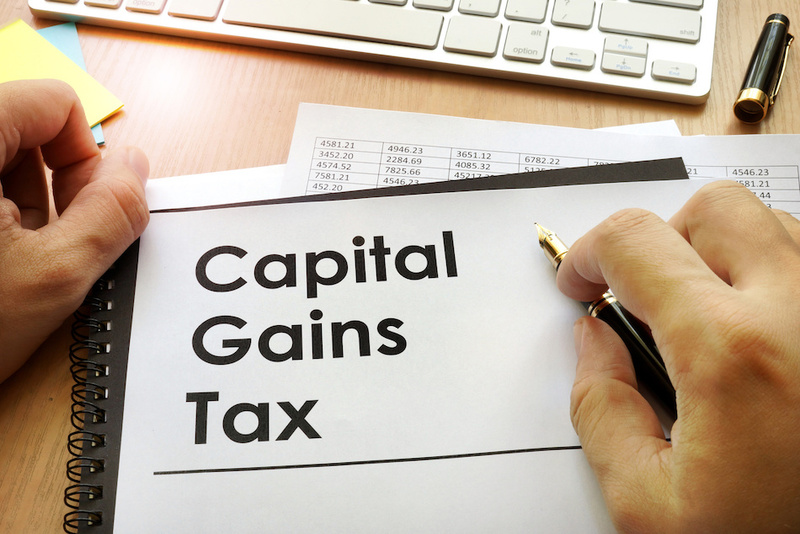 Understanding capital gains taxes and when they apply to the sale of a home can help home sellers throughout the sale process. This FAQ can answer many common homeowner questions about capital gains. Capital gains taxes are taxes that are applied to profit from the sale of an investment. Capital gains taxes can apply to many different types of investments, including the sale of a home. If enough money is made in profit from the sale of a home, the home seller may have to pay taxes on that property. Do Capital Gains Taxes Apply to All Home Sales? For primary residences, capital gains taxes only apply if the homeowner makes enough money in profit when the house is sold. For individuals, if the sale of the home results in a profit of $250,000 or less, capital gains taxes do not apply. For married couples, the profit may be as high as $500,000. The homeowner must live in the house for two of the five years that came before the house was sold. Therefore, a homeowner can sell their house every two years, make a profit of $250,000 or less, and avoid paying capital gains taxes. Vacation homes are a little different, however. Vacation homes are subject to a capital gains tax, even if the home is lived in for part of the time that it's owned. The tax rate for sale of a vacation home is between 15% and 20% depending on the profits made and the seller's income tax bracket. Most home sellers pay 15%. Home sellers who want to reduce their tax liability when selling a vacation home should have a conversation with an accountant, ideally years in advance of actually selling the home. The accountant can help the homeowner devise a plan for selling the home and paying a reduced sum on their capital gains taxes. Are There Any Exclusions To the Capital Gains Taxes Laws? There are some capital gains exclusions that apply to some people. For example, if a homeowner's spouse passes away, that homeowner only pays capital gains taxes on profits over $500,000. This rule is in effect for two tax years beyond the death of the spouse. People serving in the military are exempt from the rule that requires the home to be lived in for two years without paying capital gains, provided that they moved because of service commitments. This rule is in place because redeployments can happen frequently, so many military personnel are unable to meet the two year occupancy requirement on capital gains taxes. Capital gains taxes can be confusing. MacDonald Ranch homeowners who are trying to avoid paying capital gains taxes on the sale of their home or vacation home can talk to an accountant for guidance. Homeowners who are considering selling their home soon and who have general questions about the process should contact a real estate professional. Working with a real estate agent during the sale of a home can help ensure that the process goes well. Landscaping is one way for homeowners to add value and enjoyment to their homes, but it can be complicated business. Homeowners who have never landscaped a yard before may feel overwhelmed by the number of plant choices and other variables. 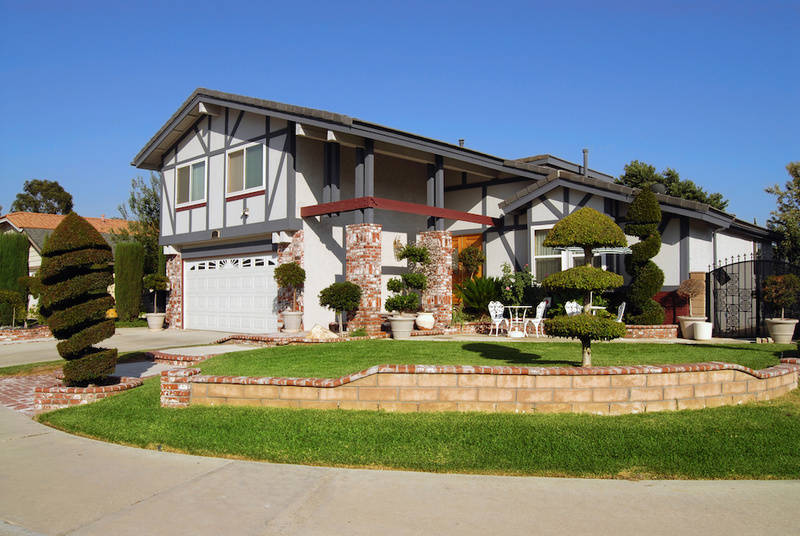 Knowing the different factors to consider can help homeowners sort out the issues and create a pleasing landscape for their front and back yards. The amount of sunlight that reaches the yard can have a big influence on the type of plants that will grow there. Shady properties require shade-loving plants, and properties that have full-sun require plants that can handle full sun. It may sound simple, but many homeowners who are new to landscaping underestimate the importance of sunlight levels. Before choosing flowers or shrubs for the property, homeowners are encouraged to observe the amount of sunlight that their property gets over the period of a few days. This way, they'll know the sunniest and shadiest part of the properties and can plan accordingly. Outdoor living space. Outdoor living space like a patio or deck is an easy to maintain landscaping feature because it requires no watering or weeding. Low-water landscaping. Drought-tolerant and native plants require less watering than other plants. Mulch. Mulching around flowers and shrubs can help contain moisture in the garden bed, reducing the amount of necessary watering. Perennials. Perennials can be less work-intensive than annuals because they don't need to be replanted every year. As homeowners become more adept with DIY home projects, becoming more experienced landscapers, they can take on landscaping projects that are more work-intensive, to create a rich, full landscape. Most flowers only bloom for a portion of the growing season. MacDonald Highlands homeowners who want a burst of color in their garden or yard at all times of the growing season can plan for this by choosing flowers that bloom at different times of the year. Planting these flowers side by side in garden beds and on the lawn can help ensure that the yard will always have spots of color in all corners of the property. Once a yard is landscaped, it won't continue to look good unless the property is properly maintained. Landscaping is not something that happens once a year; it happens all year round. 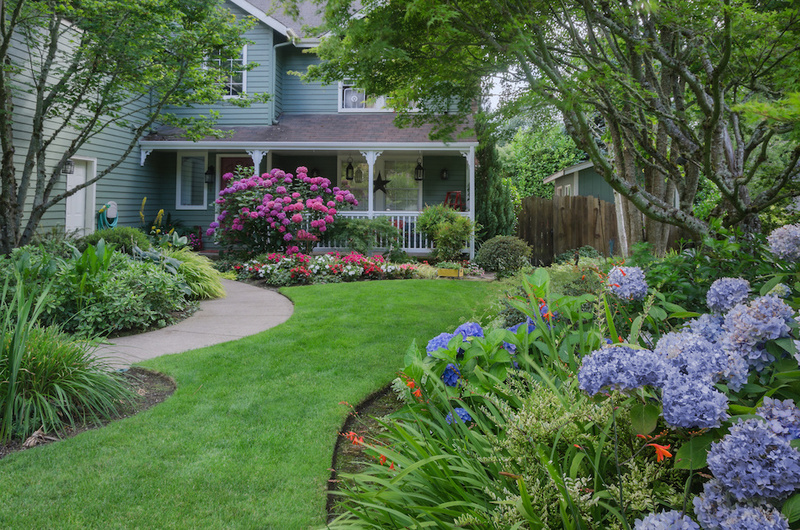 Homeowners who would like to continue to enjoy their yard into the growing season must keep up with watering, weeding, pruning and fertilizing. For those who don't have the time or the physical ability, it's best to work with a landscaping professional. Only by putting in the effort will the yard continue to look its best. When it comes to personalizing a home, painting the walls is one of the easiest ways to do it. However, there’s more to painting a home than just dipping a brush in a bucket of paint, and homeowners who have never painted before may not know where to start or what the best ways to go about painting are. For homeowners who need a little help and some quick advice for their painting projects, here are five tips to remember to help make the job easier—whether you're painting your home for yourself or painting as part of the home-staging process. Cutting in can be difficult even for people with plenty of experience painting walls. For a little extra help, try putting down painter’s tape along surfaces that need to be protected such as windowsills, floor molding, and crown molding. Not only does the tape help prevent stray drops of paint from getting places they shouldn’t, but it also helps make crisp lines after it’s removed. Painter’s tape is easy to find in just about any hardware store paint department, so be sure to grab a roll when picking up paint. As with any messy medium like paint, accident can happen, and when they do, they can be devastating. A paint tray can be on a ladder at one moment and on the floor the next, and that can be a mess that can’t be cleaned up normally, so it’s important for homeowners to do that they can to protect their home. While it’s best to move furniture out of the room completely during painting, sometimes that just isn’t possible. In those times, homeowners should use cloth tarps to protect the furniture as well as the floors. As with many things in life, paint comes in many different qualities that are based on the retail price with cheaper paints being lower quality than more expensive paints. It’s possible to find a gallon of paint from anywhere as low as $10 to as high as $100, but homeowners shouldn’t feel pressured to buy the most expensive paint they can find. There are many different paints such as Behr and Valspar that are sold for $35-50 per gallon that do just as good a job as the expensive stuff. When using a roller brush to paint a wall, it’s important to paint in vertical motions. If the homeowner mixes vertical and horizontal strokes, it can be noticeable when the paint has dried, and horizontal strokes can also lead to drips falling down the wall, and if they aren’t noticed, those drips can dry and make the wall look uneven. Using vertical strokes means any drips will be caught by the brush to ensure an even coat of paint. While it may be difficult to see at times, walls can have a lot of dust and dirt on them, and this can be a problem when painting. Dusty, dirty walls can prevent paint from sticking properly, which will lead it to peeling or chipping off later on. To prevent this, the homeowner should clean the walls with a lint-free cloth and an appropriate cleaner for the job, which can be purchased at any local hardware store. 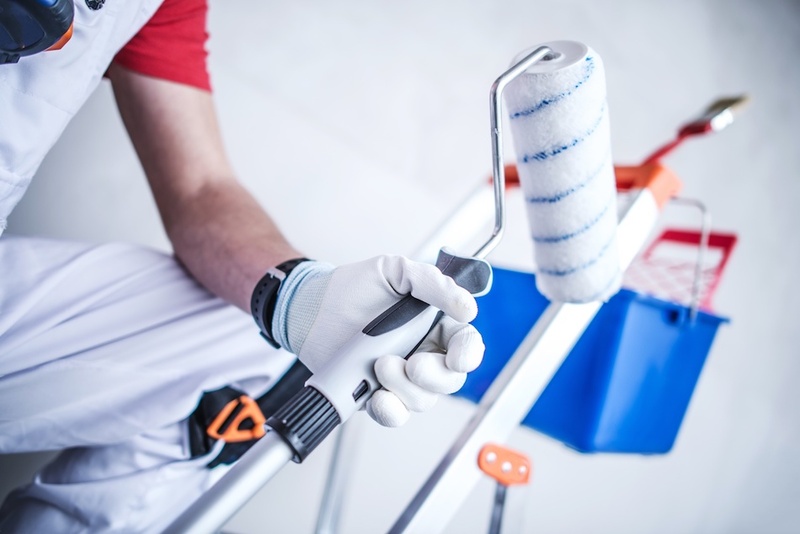 Painting a home isn’t difficult once Lunad homeowners know what to do, and by using these five tips, anyone can help themselves be more prepared for the task ahead. When two people meet, first impressions are key to how they will view each other and the opinions that will form, and when a home buyer sees a home for the first time, it’s no different. A home’s first impression is its curb appeal, so it’s extremely important for it to be the best it can possibly be when trying to sell the home. Keeping that in mind, here are five simple strategies homeowners can easily do themselves, and use to boost their home’s curb appeal when it comes time to sell. Most homeowners already take care of their lawn by fertilizing and mowing it regularly, but it’s one of those things that all buyers like to see when considering a home. A full, green lawn shows buyers that the homeowners are taking care of their home and take pride in its appearance. If keeping the lawn healthy isn’t already part of the homeowner’s routine, they should consider hiring a company who can give it exactly what it needs and either teach the homeowner how to best take care of it on their own or continue to mow it regularly for them. Many homeowners like to put small statues in their gardens or hang a wind chime from a hook on the patio. When trying to sell a home, these sorts of things can be distracting for buyers because they may spend more time looking at a funny little garden gnome than they do at the garden itself. For this reason, it’s in the homeowner’s best interest to remove these sorts of personal decorations from outside the home until after all the home showings. If left to their own devices, gardens have a tendency to look more like jungles than flowerbeds. When cleaning up the yard, homeowners should also take a look at the gardens and keep an eye out for dead or overgrown plants. Both of these things can take away from gardens and make them look cluttered or like the homeowners don’t spend enough time maintaining their home. This doesn’t mean Legacy homeowners have to fill their garden to the brim with flowers, though. Just a few nice plants and a layer of fresh mulch can make a garden look great without demanding too much time and money. When someone visits the home, more than likely, they’re going to enter through the front door. A good way to improve curb appeal for the front door is simply to give it a fresh coat of paint. If it’s been a few years since its last time it got any updates, it may look dirty, faded, or possibly even beaten up from all the different weather its had to endure. Painting the front door can be a good way to make the front door look fresh and inviting for the buyers who come to visit. When it comes to getting dirty, the home’s driveway and walkways are always on the front lines collecting dirt and grime. So while spending time trying to improve the home’s curb appeal, go the extra mile and buy a pressure washer or hire a service to come pressure wash the ground. Pressure washing can take years off of a home’s appearance and really make it look shiny and new, and the home itself may even benefit from a good pressure washing to get the grime off. By using these five strategies, homeowners can help boost their home’s curb appeal so it can make the best first impressions possible. The word 'smart' is not an official label that companies have to pass multiple measured tests to achieve. So it's easy for homeowners to ignore products on the market that are all simultaneously being hailed as the biggest technological breakthrough in history. But there are certain products that won't just make a homeowner's life a lot easier in terms of effort—it can also save a homeowner money over time. Here are five items worth checking out. A smart thermostat can monitor the most popular rooms in the home, so each location is getting as much (or as little) conditioned air as possible. Once it has a general pattern established of the family's schedule, it can lower a family's heating bills by 12% and their air conditioning bills by 15%, making it one of the most popular energy efficient upgrades. Some systems will even geolocate where the homeowner is so the home will be the perfect temperature when they get back! Homeowners control the functions from their smartphones, so they can customize the system however they'd like. Mold is caused by excess moisture in the air, but its destruction often goes unnoticed for months. When the cost of mold removal can easily add up to $5,000 or more, it helps for homeowners to take the right preventative steps. A smart moisture sensor works with the existing Wi-Fi network to alert homeowners of leaks or excess moisture immediately, which can give a homeowner the chance to perform simple mold removal (without having to pay for a pro.) There are even moisture sensors that will float in the case of a severe leak. Most sprinklers can be easily programmed to operate according to the homeowner's wishes, but a smart sprinkler takes this convenience a few steps forward. Not only does it work to deliver the precise amount of water the soil needs to thrive, but it can also check the weather forecast so homeowners won't swamp the yard with their sprinklers after a major rainstorm. These systems can't potentially save homeowners 30% or more on their water bills! Smart plugs let homeowners connect to their Lake Las Vegas home no matter where they are. So if they happen to be in Europe when they realize they forgot to shut off their bedroom light, they don't have to waste electricity when they're out of the country. These systems are hardly brand new, but they can save a homeowner money who might not always be consistent when turning their appliances on and off. Finding smart technology with the best returns is all about taking an honest look at the current state of the home. If there are currently no steps being taken to prevent mold or to save water, then a moisture sensor or smart sprinkler could potentially save hundreds or potentially thousands of dollars. Homeowners should determine their priorities first before deciding which device is worth it. 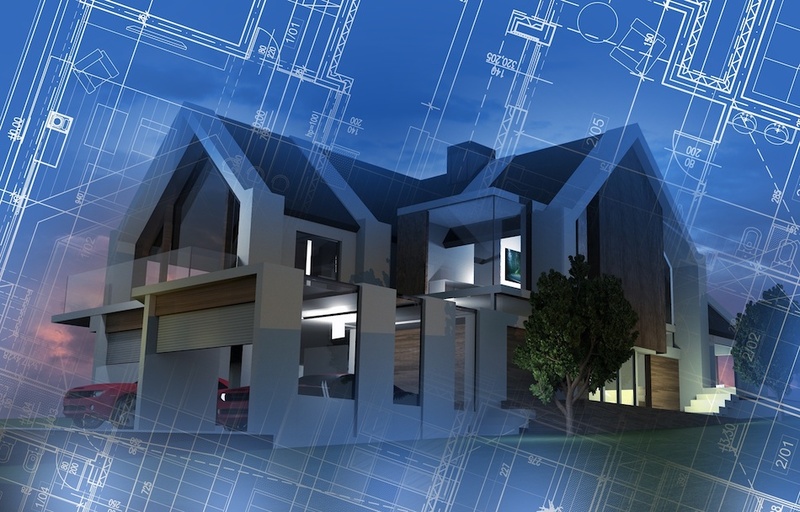 New construction technology has become truly mind-blowing for those in the industry, and yet most people don't know very much about the new advances. The building trades have been sharing more ideas and adapting new materials and electronics to fit their needs. While some of this may seem like science fiction, these construction methods may be coming sooner than people think to a neighborhood near them. See which techniques are making headlines, and why it matters to anyone who may want their own property one day. Construction companies have more options than ever before to scout out the best sites for building. Large swaths of land take a lot of time, energy, and money to visit and assess. Plus, it can be difficult to keep everything straight when people have to look at the land in individual sections. But a drone gives people the chance to view the grounds as a whole, which can allow them to quickly decide whether or not it's right for them. A 3D scanner in conjunction with a drone can make it even easier by showing company leaders any obstacles that may get in the way when building. So if there's a stockpile or a rock formation on the property, a drone will only be able to show that these things exist. A 3D scanner will be able to measure the dimensions to within 2 millimeters of accuracy! A 3D printer may still not have a lot of uses inside the home (besides novelty), but it's proven itself to an asset to the home in ways people may never have expected. Imagine a printer that can manufacture a home in as little as 24 hours. Start-up corporations like Apis Cor have found a way to print homes for as low as $10,000. They've already made dwellings that are move-in ready on test sites, and they continue to work bringing this technology to more people across the world (particularly those in need.) It's truly incredible to watch the process occur, as a building site goes from empty to ready for people in practically no time. These homes are all entirely up to code, even if the architecture itself is simplistic in nature. For anyone who's ever crashed a car or broken a cell phone screen, it's easy to wish the technology in question could magically heal itself without having to pay the money for repairs. But it's not really a wish anymore when it comes to certain building materials. Self-healing concrete contains shape-memory polymers that can force the concrete to return to its original state after it's been damaged. Most often discussed as a way to save taxpayers on repairs for roads and bridges, this technology can be adapted so homes can withstand anything from blunt trauma to general degradation over time. A human can lay about 75 bricks in an hour, but a robot can potentially lay more than 400 bricks in the same amount of time. This technology has been steadily improving to the point that robots can even account for potential hiccups in the architectural plans, which means less wasted time on human intervention. While controversial in nature, it should be noted that there are fewer and fewer people entering the construction industry, and more and more people retiring by the day. These robots cannot work with complicated designs, but they're perfect for simpler homes and buildings in Inspirada or elsewhere. It should be noted that humans will need to load the materials as the robot works to lay the bricks. These technologies have a way of shifting how both investors and the public see real estate. If a drone can save weeks of time when scouting out locations, it translates into more savings on the part of the homeowner and more opportunities for investors to make homes the public can both afford and enjoy. Self-healing concrete means homeowners spend less time and money fixing their home, so they can put their money toward home upgrades they actually want. There's also been new technology in timber, meaning future home buyers may see wood come back as a popular material. New laminating techniques in timber make it easier to prevent fire or water damage, and there's been increasing demand for the material in recent years. The construction industry may not be a popular choice of conversation, but all of these new ideas can have a significant impact on the types of homes we all buy and the price we buy them for. Keeping up with what's going on is a smart way to stay ahead of the major shifts in public demand. Whether it's a new material or a brick-laying robot, the possibilities of how to implement the technology are endless. Increasing prices for traditional fuels and a desire to be more environmentally-conscious are factors supporting the growth in sustainable construction. Green or sustainable construction incorporates many different elements and some of its precursors to this trend may be seen in groups of people in the past who used local and sustainable materials to passively heat or cool their homes. Various ideas in sustainability have come together in the past few decades to provide homeowners and those in the construction industry with the means to build sustainably and retrofit existing homes utilizing best practices and clear standards. For those who are unaware of this important trend in construction, it is now time to learn more as it can benefit both existing and future homeowners, property owners, investors and developers. There are a number of considerations when it comes to building a green or sustainable construction. Green building is when a structure is created and one or more processes are used that are considered to be resource-efficient and environmentally responsible. Such practices often complement classic designs of building when it comes to utility, economy, durability and comfort. Sustainable buildings support both the needs of humans and that of the environment by their reduction of pollution, waste and environmental degradation, protection of occupant health, and efficient usage of water, energy and other resources. The ideas of passive solar design and the use of renewable materials in building construction can date back some time when considering how some villages in the Southwest were constructed to receive solar heat during winter months. In the 60s and 70s, early experimentation with what is thought of to be contemporary green building came to pass. There have been many milestones and advances since then. It is possible for builders and owners to integrate sustainable practices and apply them to new or existing structures. LEED for home provides valuable advice and guidance on applying best practices and current standards for sustainable structures. Special financing options and certification through the Leadership in Energy & Environmental Design program is available for those who want to meet outlined standards. This certification may be useful for builders and contractors dedicated to working with individuals and developers interested in more sustainable construction and related practices. In addition to the LEED program, another popular program offering certification is the Energy Star Qualified Homes program. Those who need an entry point into more sustainable techniques and practices may want to look into the National Green Building Standard. There are homebuyers willing to pay more for a green or sustainable Hillsboro home. Such buyers see the benefits in paying more for those homes that are built in a way or incorporate features that reduce energy costs. They also appreciate that some upgrades, such as attic insulation, new energy-efficient windows, and low flow shower heads, will minimize energy costs without negatively impacting their personal comfort. Green homes may be sold for more than surrounding traditional comps, according to recent research. It pays to work with an agent who understand how to sell sustainable features to potential homebuyers when it comes time to list a home. The benefits of residential solar panels, attic insulation and more may not be immediately obvious and an experienced agent can showcase the advantages to prospective buyers. Some markets may demonstrate Millennials showing great interest in buying a sustainable home or one in which there have been a number of environmentally-friendly upgrades. The installation of residential solar panels. 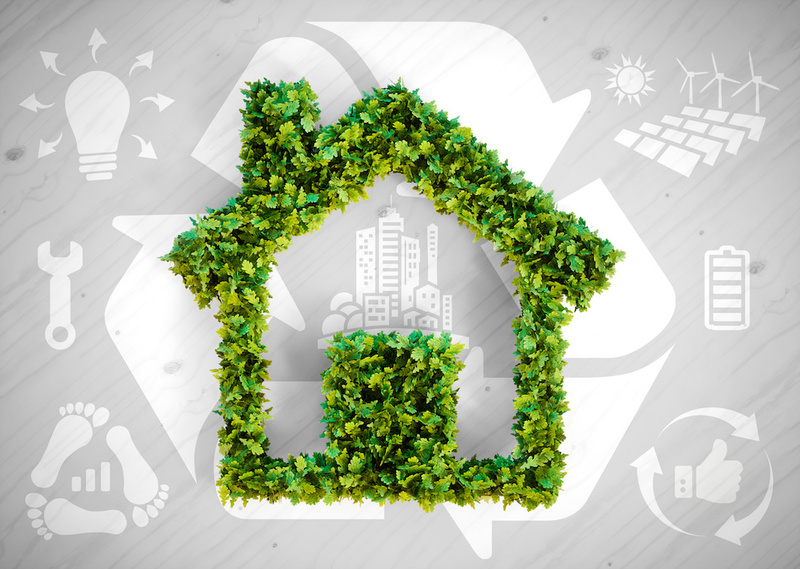 Some green projects may provide homeowners with a significant ROI. Affordable ways homeowners may want to invest in environmentally-friendly technologies is by upgrading to energy efficient appliances and LED lighting. Homebuyers are also known to appreciate these upgrades. It has become more affordable to increase the energy-efficiency of a home as there are a number of incentives available to offset initial costs. It is possible to benefit from available federal and state tax credits or special incentives for sustainable home improvements, including the purchase of a residential solar panel system. Why Learn About Sustainable Construction? Sustainable building is a trend and practice of growing interest to homeowners and the construction industry. The government incentives, certifications and best practices developed are making it easier for those that are late to the game to start incorporating sustainable design, materials and advances in energy-efficient technology. Many people not only appreciate feeling good about living in a home that reflects their values and reduces their energy costs, but they appreciate incorporating upgrades that may boost their home's value. Among one of the biggest challenges of homeownership is maintaining the overall condition of a home. A home's roof can be one of the biggest challenges of all that a homeowner will face. When a roof goes bad, however, there are often warning signs. Homeowners who know those signs can contact roofing contractors as soon as they realize there is a problem. These five signs are all indications that a roof needs to be replaced. Bubbling paint on the walls or ceilings. Large spreading stains on the ceilings. Presence of mold in a particular spot on the wall. Mysterious puddles of water on the floor. Of course, many of these signs can also be indications of a plumbing problem. Green Valley South homeowners who cannot tell whether or not they have a plumbing problem or a roof leak should contact appropriate contractors to diagnose the problem. Wear and tear can take different forms depending on the type of roofing material used. For example, wear and tear on on an asphalt shingle roof may involve missing shingles, cracks in the shingles and shingles with curly edges. Wear and tear on a clay roof may involve missing and broken clay tiles, or even a section of the roof that has sunken in from the weight of the tiles. Homeowners can identify these problems by having their roof inspected on a regular basis and looking for changes to the structure and appearance of the roof. Getting up close to the roof may reveal changes and problems that are not visible from a distance, so homeowners must be willing to stand on a ladder and put their face level with the lower part of the roof. Presence of mold, whether on the walls, ceiling or floors, is an indication that there is too much moisture inside the house. Mold can occur because of high humidity, a tight building envelop, a plumbing leak or a roof leak. Homeowners who have mold in their home and are unsure of the source can have a roofing contractor inspect the property to look for a potential leak. Sometimes mold occurs when there is not enough ventilation in the attic, so this is another problem that can be repaired by a roofing contractor. Like other building materials, roofing materials have an expected service life. Shingles last for approximately 20 years. Wooden shingles can last for 30 years if they're properly maintained. Metal roofs can last up to 80 years and slate or clay tiles can last over 100 years. In fact, some types of slate tiles can last as long as two centuries! Once the roof starts to reach the end of its service life, homeowners should start planning for its replacement, so they'll be ready when the time comes. A roof replacement can be costly, so being ready can help make the project easier to manage. One of the most serious problems that a roof can experience is structural instability. A sagging or warped roof usually happens after a long-term leak has rotted the sheathing underneath the roofing material. Rooftops that are sagging and warped are dangerous to walk upon and hard to repair. Homeowners who notice this problem must contact a roofer as soon as possible. For more information about the warning signs that your roof needs to be replaced, contact a reputable roofer in your area. 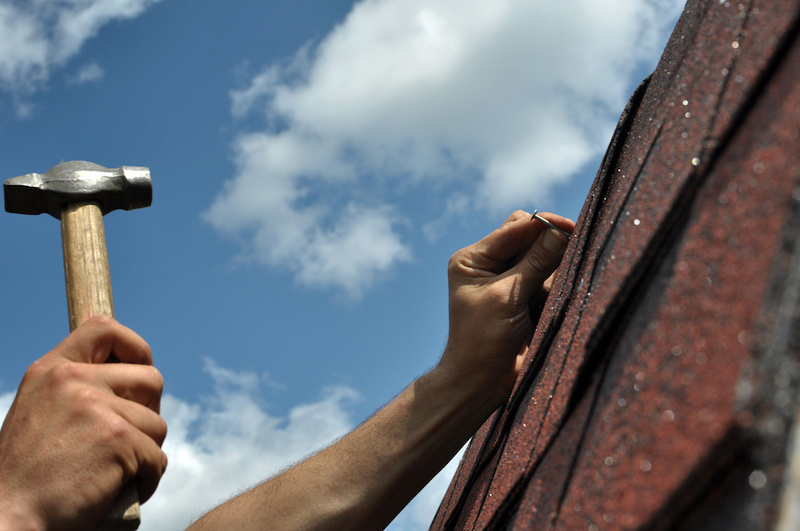 Your roofer can help you determine what needs to be done to ensure your roof works properly.